When you’re in the middle of a flight, the last thing you want to see is any type of fire. Unfortunately, that happened to a teenage girl from Seattle in midair on a flight to Hawaii. 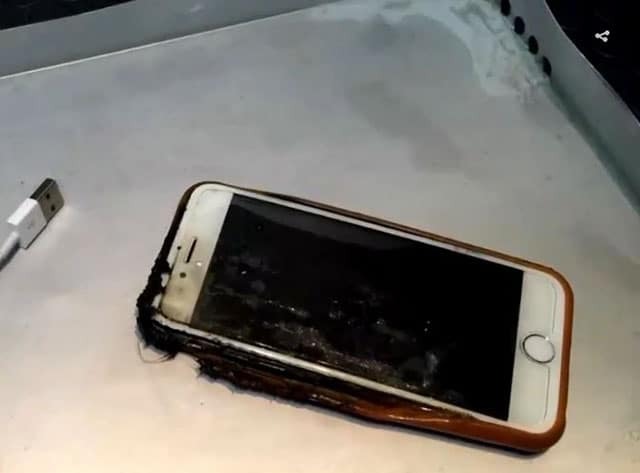 The girl, Anna Crail, was watching a movie on her iPhone 6 when flames suddenly started coming out of the iPhone 6. “When it started I thought we were going down, and I was like, ‘oh my god, there’s a fire on the plane,'” Crail told the news outlet. As Crail further explained to the news outlet, “All of the sudden there was like 8-inch flames coming out of” her phone. Crail reacted by flipping the phone onto the ground which later got someone’s seat. At that point, flames started higher and many of the passengers stood up to see what was happening. Luckily, this incident did not cause any fatal damage to the plane or any of the passengers boarding the plane. Alaska Air crews did not hesitate to put out the fire as quickly as possible, as they are trained to do.